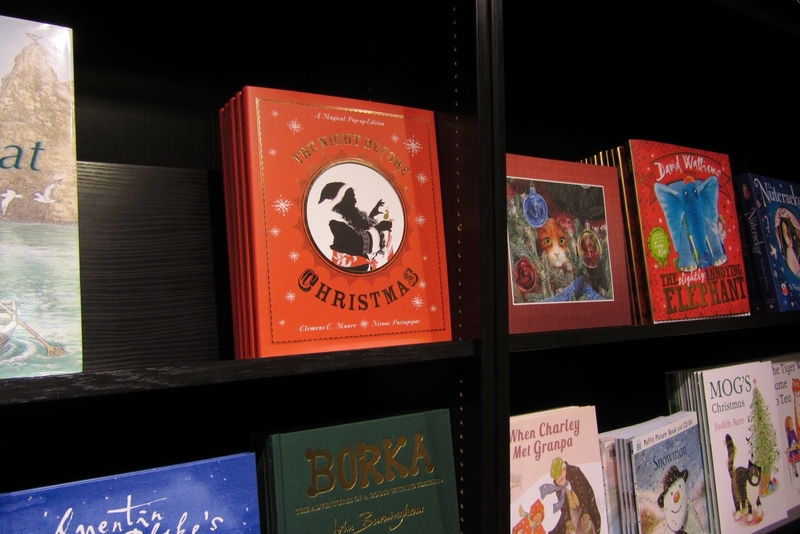 Lovely window display at Dublin’s Hodges Figgis (which also happens to be Ireland’s oldest bookstore) featuring my illustrations for The Nutcracker and copies of the book. 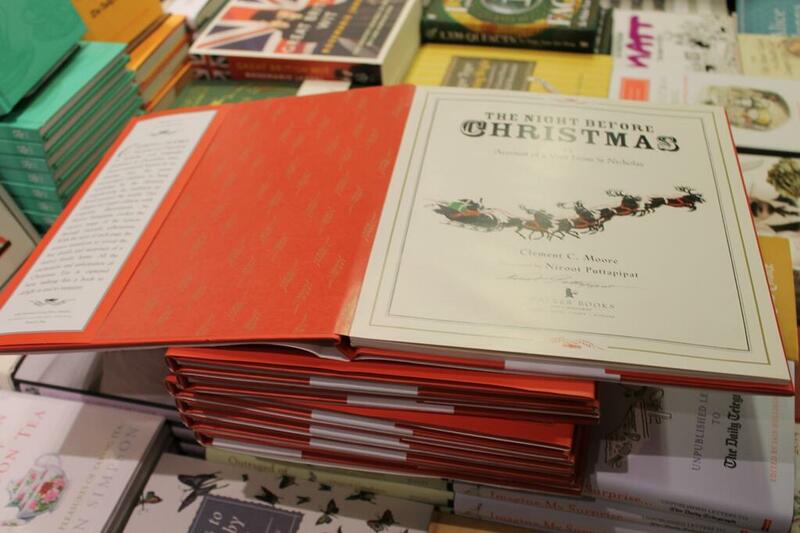 Photographs by Hodges Figgis on Twitter. 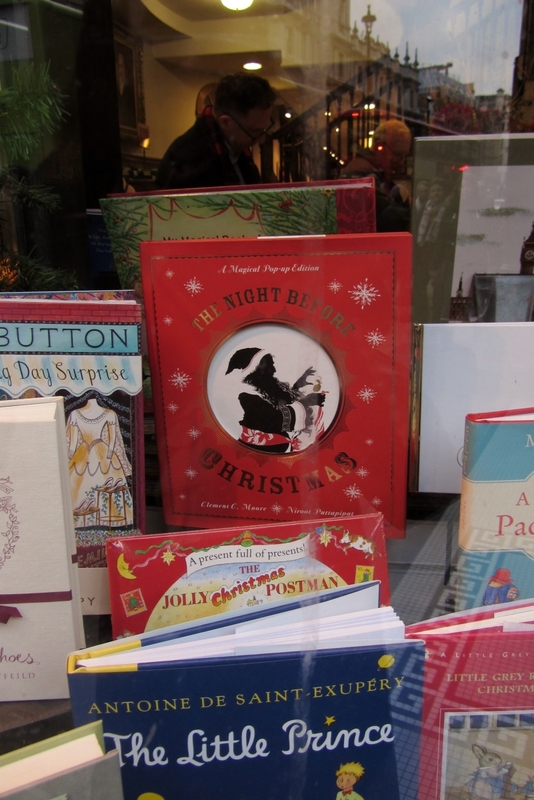 Two days ago, I and two friends passed by Hatchard’s bookstore in Piccadilly and discovered in the window a copy of the pop-up edition of Clement C. Moore’s The Night Before Christmas (Walker Books) which I’d illustrated. This was the second edition of the book, released last year (the first was published in 2007). We decided to pop in to see whether there were any further copies, and were pleasantly surprised to find a fair number on prominent display among the recommended titles right by the door. 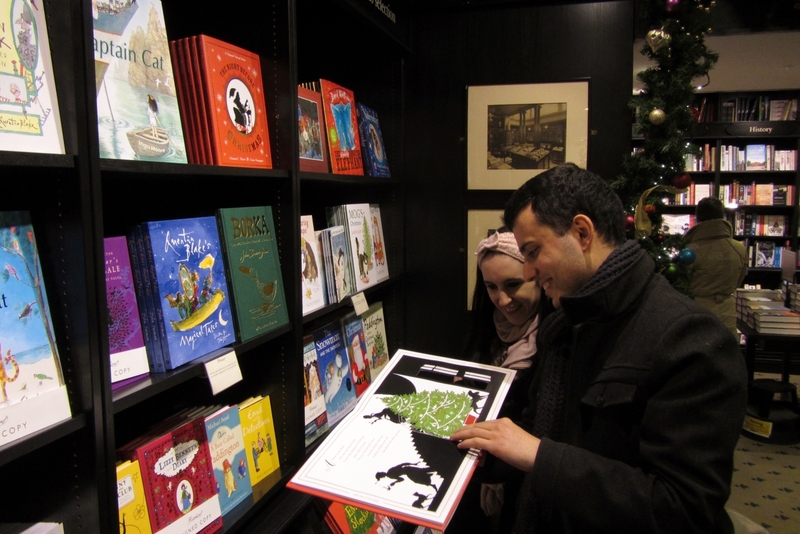 Huseyin and Amy inspect a copy. 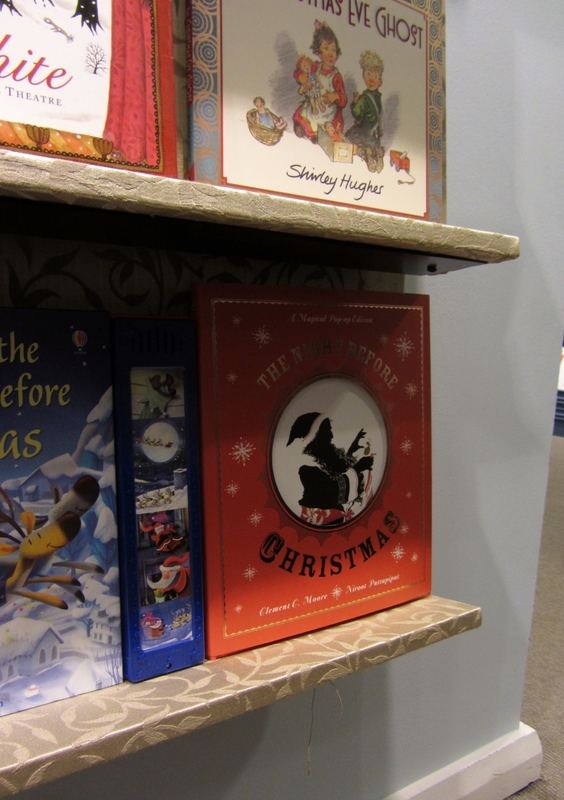 A few more copies were found upstairs in the children’s section. After considerable pondering and being urged by my friends, I finally mustered up enough courage (or brazenness) to ask one of the staff whether they might welcome my signing the copies. She was extremely kind and complimentary and happily agreed.